The world of search engine optimization is constantly changing and evolving. Search engines like Bing and Google change their algorithms at least dozens of times each year, all in the pursuit of producing better search experiences for their users. These algorithms are inherently designed to ensure that high-quality content is displayed first and foremost; because some people discover how to game the system, so to speak, changes have to be made. This also leads to old advice masquerading as relevant information, and there have always been examples of subjective or otherwise nonsensical “SEO tips” floating around the web. Today, we’ll discuss a few of the biggest SEO myths out there and put them to bed once and for all. Many people are increasingly talking about the end of SEO. Due to the increasing importance of content as a sole component, there is a belief that SEO in its formal, technical sense is reaching the end of its life. Despite these rumours and some very astute commentary associated with them, the fundamentals of SEO will remain relevant for years to come. This is because of the dynamics and algorithms of search engines: pinging servers with information to be dissected by machines and algorithms will remain the status quo for a long time. While the techniques will continue to evolve and the process may appear to become more organic, the actual utility of SEO as an active component will remain with us. Some people have promoted the idea of automated SEO, believing that because many facets of SEO are technical, the processes behind them can be handled by machines, plug-ins and other automated elements. While some basic forms of SEO can in fact be improved by a variety of add-ons and plug-ins, most elements of SEO at this point require at least a bit of abstract thought and interaction. From content creation to keyword research and link building, you cannot expect to generate success by pinging servers with basic information in an automated fashion. 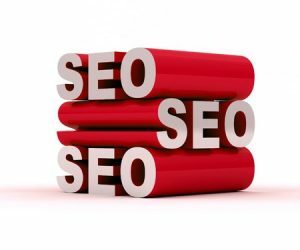 SEO will still require a personal touch for the foreseeable future and those who do not have the time or energy to do so will almost certainly fail. With the advent of services like Google Disavow, some SEO enthusiasts have promoted a school of thought that suggest penalties from bad links can be quickly eliminated. This has led to some individuals pursuing blatantly bad links for short-term gain, followed by disavowing the links once the penalty hits. The reality is that services like Google Disavow will not reverse a penalty in short order, and it still makes absolutely no sense to buy or spam links in order to improve SEO. The era of link farming for unmitigated gain is truly gone and those who engage in this behaviour will destroy every project they touch. There are hundreds of specific SEO myths out there masquerading as facts, but the list is too comprehensive to cover them all here. What are some other SEO myths you’ve heard? Tell us below and give everybody a good laugh.